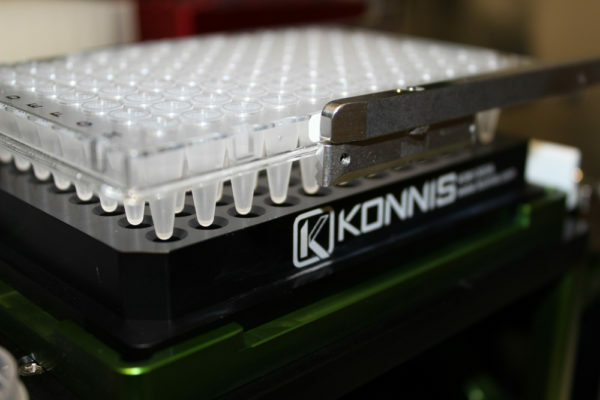 Konnis PCR microplate adapters are made of high quality aluminum and milled for accuracy. 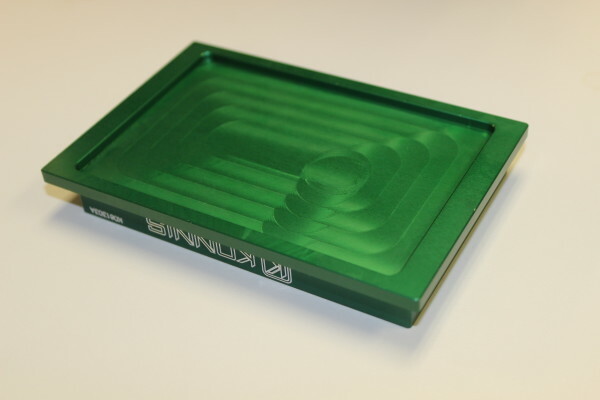 Aluminum is durable, conducts heat as well as cold and can be anodized to assist in human interaction to more easily locate plates. 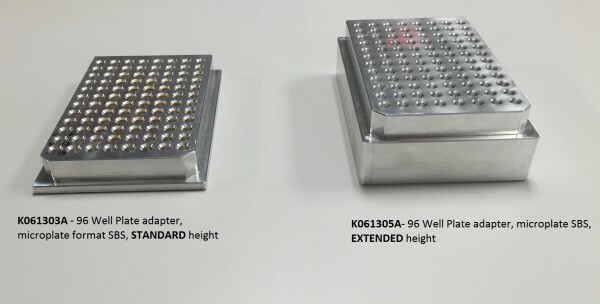 The 96 well PCR adapter comes in standard height or 1″ extra tall. 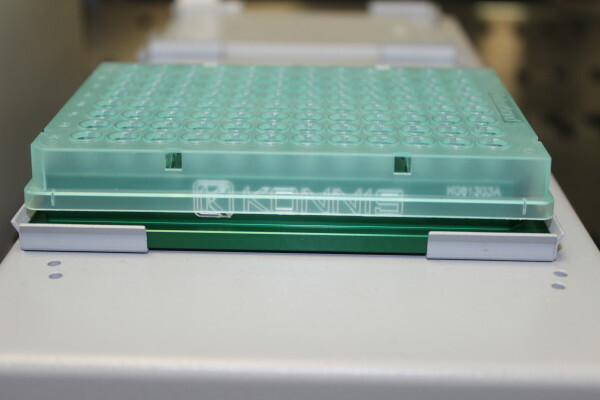 Essential for non-skirted PCR plates to provide rigidity and ability for gripper arm to move the plate. 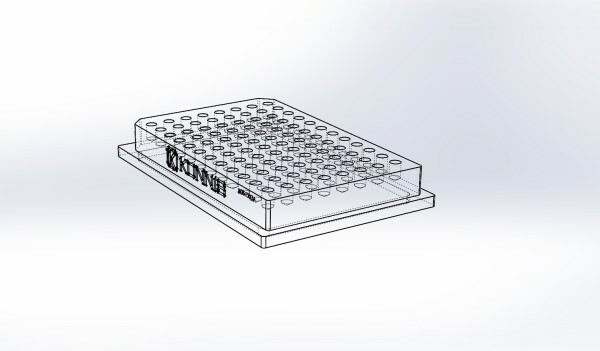 Aluminum PCR adapter plates can be frozen and used with PCR micro plates to keep samples chilled on the deck. 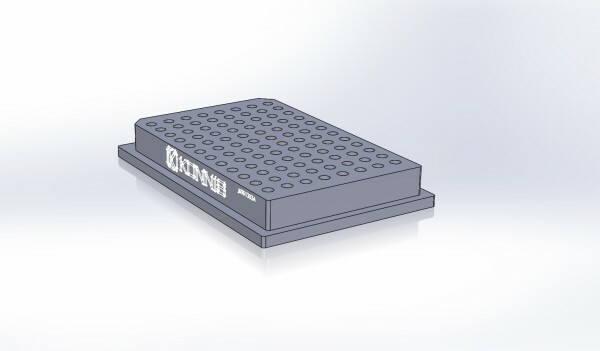 They can also be used with a temp control element to maintain a particular temperature range. 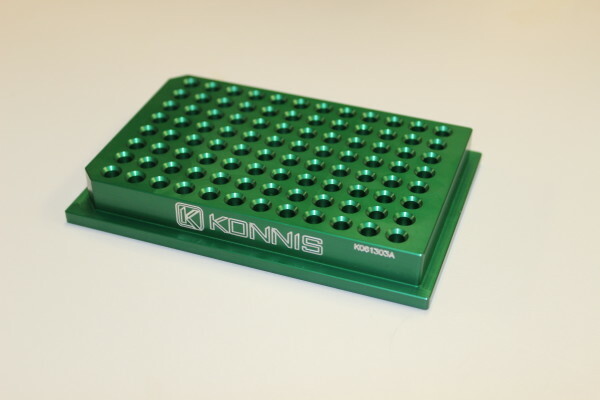 Compatible with Tecan Freedom EVO series, Genesis series, Fluent, Hamilton, Beckman.